This fine church was founded in 1123 but has earlier origins. 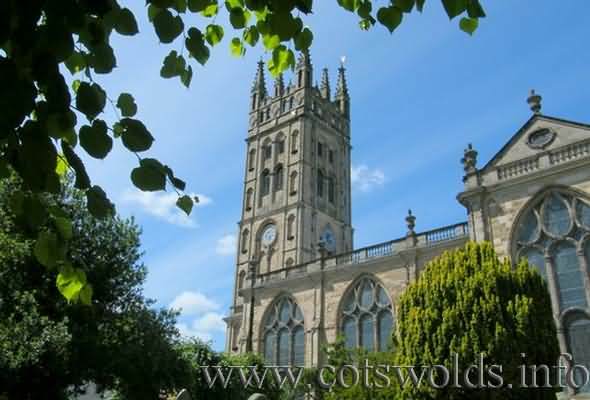 It is one of the largest churches in England with a Tower that enables visitors that climb the stairs to have panoramic views of the town and surrounding countryside. The founder was Robert de Newburgh the 2nd Earl of Warwick, his date of birth given was about 1100 and date of death 30th August 1159. 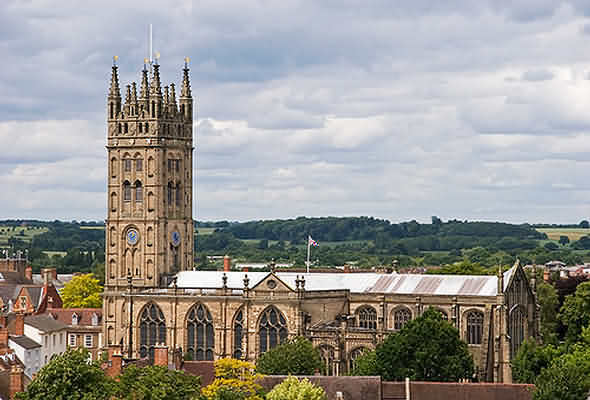 In the great fire of Warwick of 1694, the Nave and Tower were destroyed but rebuilt 10years later by the brothers Francis and William Smith who were both builders and architects of Warwick. The church has an abundance of memorials and tombs and is considered to be of great architectural beauty. 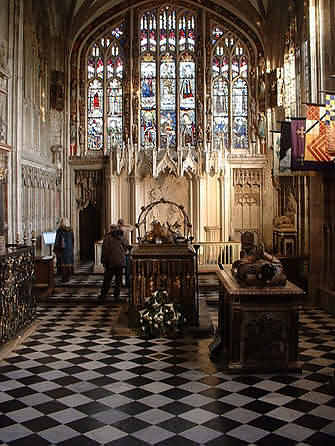 Upon entry visitors will see when looking towards the east window the High Altar in front of this is the tomb of Thomas Beauchamp, Earl of Warwick. It was in the 14th century that The Chancel, Vestry and Chapter House were rebuilt by Thomas Beauchamp and is a highly regarded example of English Gothic architecture. Within the Chapter House is the tomb of Fulke Greville First Baron Brooke, an Elizabethan poet and dramatist. He was treasurer of the Navy and Chancellor of the exchequer and he met an untimely end being murdered by his manservant who thought he had been unfairly treated. The servant attacked his master with a knife and then committed suicide. Fulke Greville died 16th September 1628, 47days after his attacker. The Beauchamp Chapel was built in the 15th century specifically to house the tomb of Richard Beauchamp, 16th Earl of Warwick (the King Maker), a man who played a significant part in English history. The chapel has been described as one of the finest examples of ecclesiastical architecture of the era, and is regarded as one of this countries finest treasures. Also in the chapel are the tombs of Robert Dudley Earl of Leicester, Roberts son and his brother Ambrose Dudley, Earl of Warwick. In the North Transept is the chapel of the Royal Warwickshire Regiment (Royal Regiment of Fusiliers); here visitors will see many memorial plaques. The Crypt dates back to the original Norman building and within the Crypt stands a Medieval Ducking Stool; it is regarded as one of rare quality due to its state of preservation. 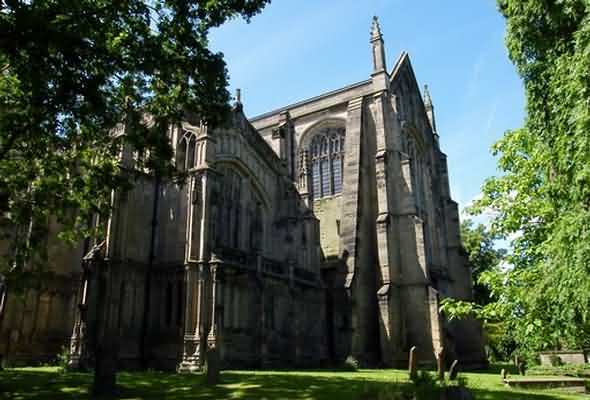 There is a great deal to see in this superb church, visitors should allow themselves plenty of time to explore and see this amazing place of English history. A church shop has many mementoes available for sale. 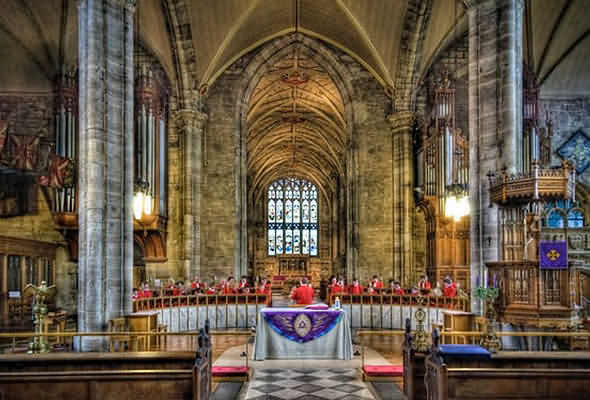 A collegiate church is a church where the daily office of worship is maintained by a college of canons; a non-monastic, or "secular" community of clergy, organised as a self-governing corporate body, which may be presided over by a dean or provost. In its governance and religious observance a collegiate church is similar to a cathedral, although a collegiate church is not the seat of a bishop, and has no diocesan responsibilities. Collegiate churches were often supported by (extensive) lands held by the church, or by tithe income from appropriated beneficiaries. In the church archway, under the tower to the right of the main entrance, there is an inscription that refers to a Miss Louisa Ryland. This reads - 'This Tower was restored in 1885 A.D. There being no funds available to finance the work, Miss Louisa Ann Ryland generously provided the necessary means'. The curiosity in connection with Miss Ryland was that when she died 4years later, the main beneficiary of her will was a Charles Alston Smith, who was the son of the man that her father had forbidden her to marry. Her father, Samuel Ryland, was rich but without title, he had wanted his daughter to marry the then Earl of Warwick, but neither party was interested in the match. Weepers usually represented living people who would mourn the death of the person or persons in the tomb and were a common funereal ornament . On many tombs, the tomb is decorated with weepers and usually the Female weepers are separated from the Males as on the Tomb of Richard de Beauchamp, here the men are shown on one side of the tomb and women on the other . 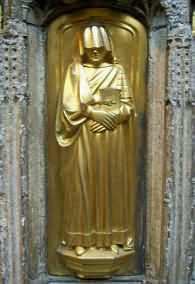 In this case all the weepers were deceased before Richard reached his final resting place, the reason being that the chapel was not built until 1475 ,Thirty six years after his death. Weepers are also depicted in the form of a Statuette and occupy a Niche in a place close to a tomb.